Jailbreaks have been a bit lacking in recent years, but today we can tell you that, if you are on iOS 10 firmware, we have news of a jailbreak for you. Its called Helix jailbreak, its semi-untethered and it was brought to us by Tihmstar, a prominent developer. It is a stable jailbreak and is based on an exploit called V0rtex. iOS 10 was meant to be the beginning of the end for jailbreaking and, for a long time, it seemed to be. Apple introduced a load of new features, including security features that, for a while, interfered with the jailbreak development. So, given all the security that iOS 10 includes, how does Helix jailbreak work? Helix is built using an exploit that gets around the security features in iOS 10, allowing you free and easy access to Cydia. It is a safe jailbreak to use so read on to find out how to get it. 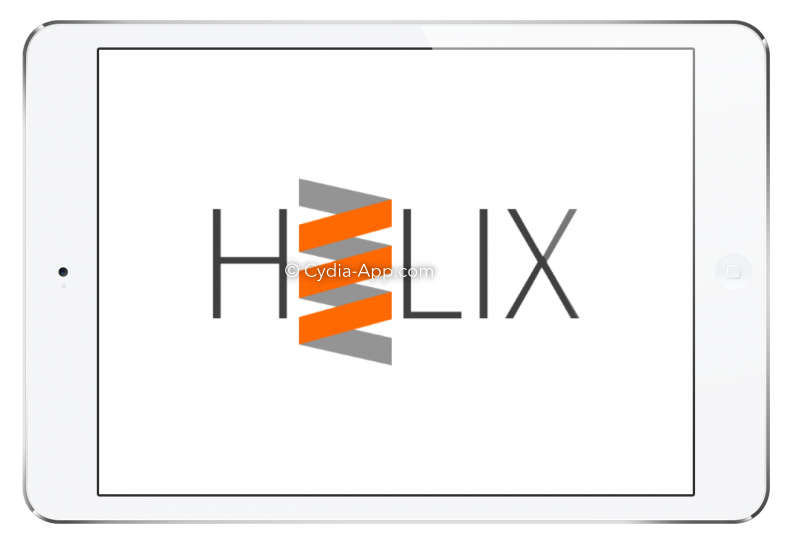 Helix aka H3lix jailbreak is available on both 32-bit and 64-bit devices. Do remember that it is semi-untethered so it will need reactivating whenever you restart your iPhone or iPad. Downloading it is simple though so check out the links to download and install Helix on either 32-bit or 64-bit devices. Yalu was one of the first jailbreak tools for iOS 10 firmware. Yalu jailbreak was released by jailbreak developer Luca Todesco, but it was not 100% compatible with all iOS 10 supported devices during its initial release. Also, Yalu Jailbreak was not one of the most stable of jailbreak tools. It was superseded by Helix jailbreak which comfortably jailbreaks all iOS 10 devices up until iOS 10.3.3. Cydia is not available on all devices but, for those who can’t download it, there is a vast choice of alternatives. Take a look at our list of alternatives, iOS app installers offering plenty of apps and games for free, including some of the top modified apps, like YouTube++, Instagram++, Spotify++, Snapchat++, MovieBox and many more, all offering extra features over the stock versions. If you are not happy with iOS 10 jailbreak or you keep coming up against irritating errors, the easiest way to deal with it is to delete Cydia from your device altogether – you can easily reinstall it. Visit the link to find out how to use Cydia Eraser to delete Cydia from your device. Are you going to download Helix jailbreak? Do tell us how you get on and follow us on Facebook for more Cydia news and developments. I want to ask a question can I jailbreak my iPhone 5S 64GB currently running iOS 10.2? If yes, from where can I get that jailbreak. yes you can , go ahead with the tools listed above . im want to put gameplayer on my ipad but im dont know for this program whether WORK ??? Because im put this program but my ipad is stop working …if you know, can you tell me ??? Hello , how are you downloading that app? using an ipa file ? sorry about that. which method did you try ? I tried to jailbreak my iPhone 5 iOS 10.3.3 using helix jailbreak (no computer) i followed every step yet it says uicache failed. Please help.